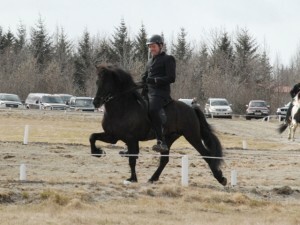 Hreyfill and Sigurður Óli Kristinsson. 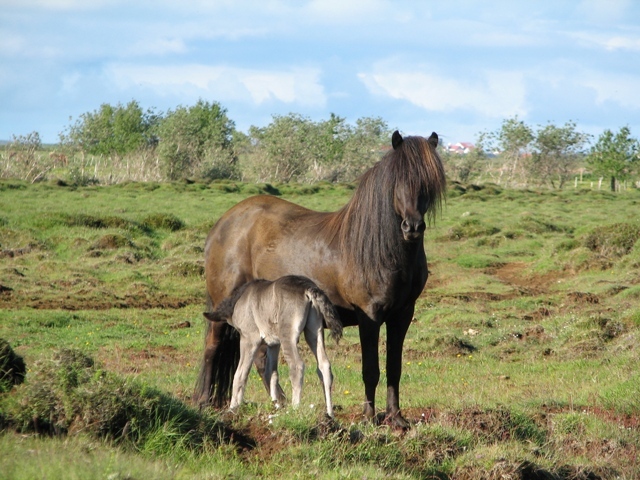 Ever since Hreyfill was born, he has been special and the first time we saw him as a foal running down the field we came up with the name Hreyfill! 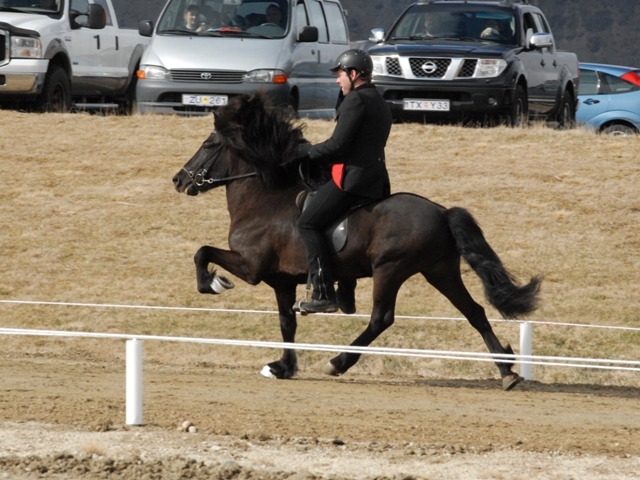 The name has the meaning of big movements. 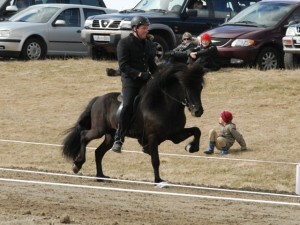 When Hreyfill turned four years old, Frida Lövgren Suvanto began to train him. Thereafter he was sent in further training to Jóhann K. Ragnarsson for two months. 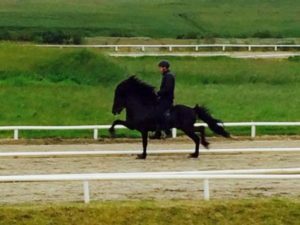 His training went very well and he was always cooperative and happy. He showed trot with high leg actions and his tölt was amazingly soft with big movements. 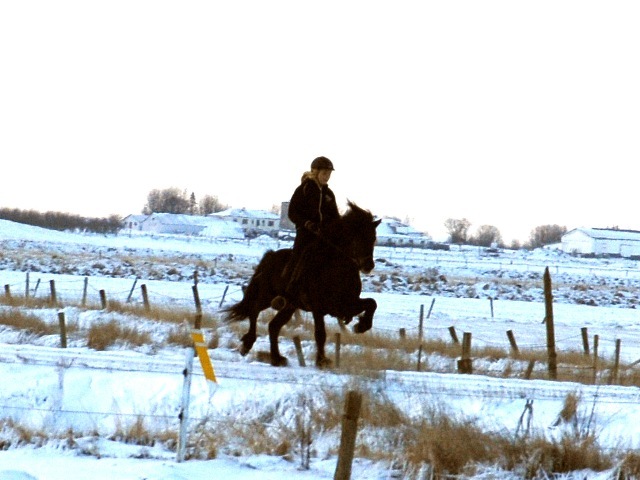 We saw that Hreyfill was the kind of a horse that we would like to have in our breeding, so we bred many of our breeding mares to him that summer. 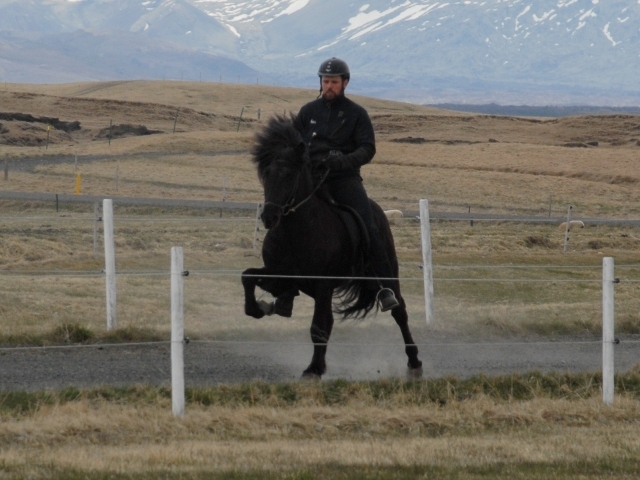 The year after, Sigurbjörg Bára trained Hreyfill until the middle of March when Sigurður Óli Kristinsson took him in training. 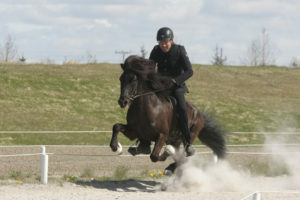 Hreyfill was evaluated this same year and received 8,31 for conformation, 8,24 for riding abilities and 8,27 in total. 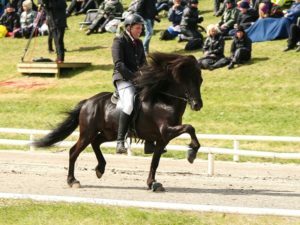 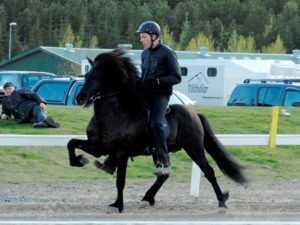 Sigurður Óli continued the training with Hreyfill when he was 6 years old and showed him again in a breeding show where he raised his scores: 8,50 for conformation, 8,56 for riding abilities and 8,54 in total. 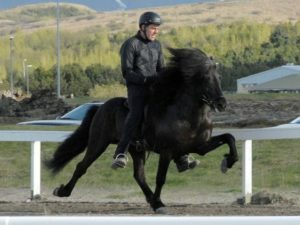 Hreyfill is one of the highest judged four gaited stallions in the world! Hreyfill is a known and successfull competition horse. His highest score in V1-Masters class is: 7,80! 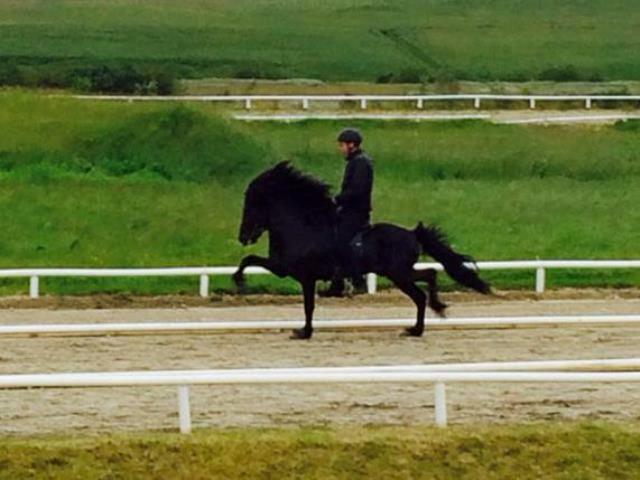 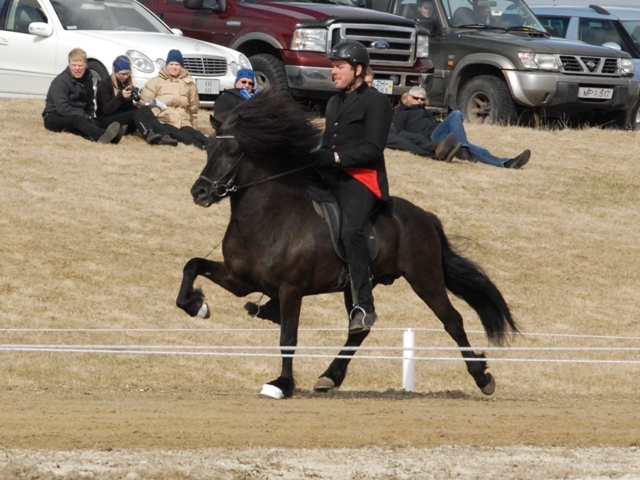 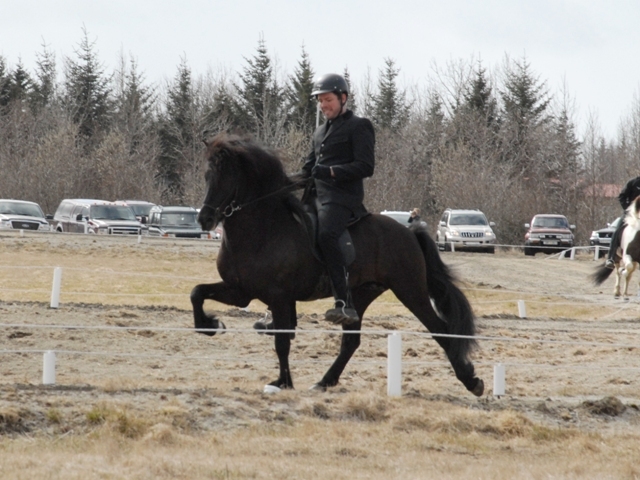 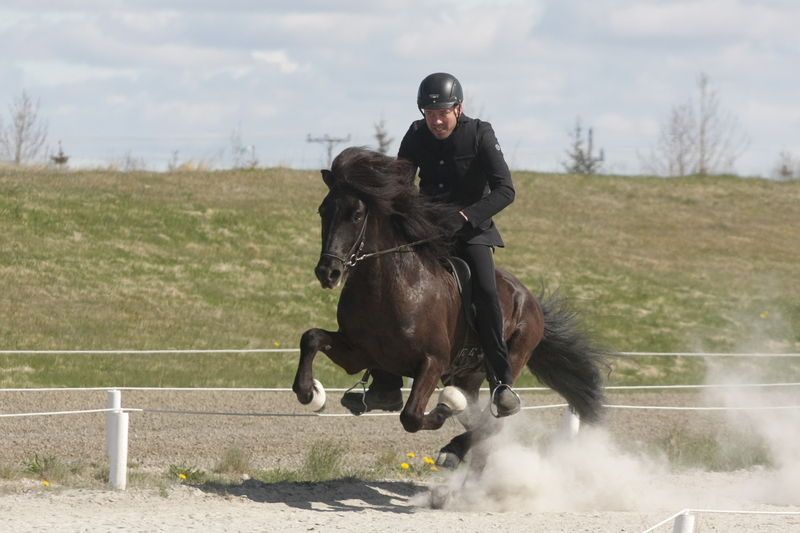 He also took part in Gæðingakeppni Sleipnis and won B-class (fourgait) with the splendid score of 8,97! 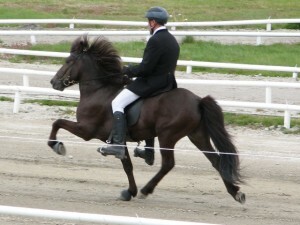 Breeding show 6 years old he got . 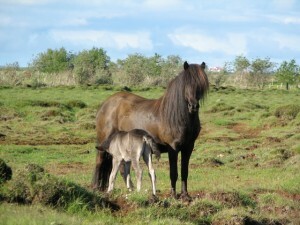 Mother: Kolbrún from Vorsabæ 2. Pictures by Hreyfill 5 and 4 years old.